For years, there had been one common theme among Clemson teams: they would win a lot of games but frustrating losses to poor ACC foes or choking in big games would consistently sink National Championship aspirations. It happened so often, many people ended up coining great teams choking as "Clemsoning". Last year, however, there was no "Clemsoning" going on at Clemson. Behind the arm of super sophomore Deshaun Watson, the Tigers barreled over much of their ACC competition, including previous three-peat conference champ Florida State and an underrated UNC team in the ACC Championship. They even went non-conference against a very good Notre Dame team and managed to hang on as hurricane-type rain and winds approached. Clemson further showed how far the program had come by smacking Oklahoma in the Orange Bowl, clinching them a spot in their first National Championship under rising head coach Dabo Swinney. 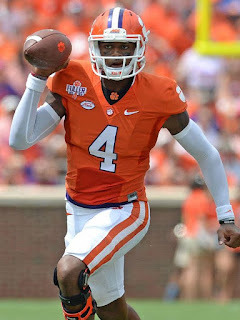 Despite the fact they would end up losing, the Tigers played terrific, and Watson showed the whole college football world what he could do on the sport's grandest stage. As they enter 2016, the 15-0 record Clemson came agonizingly close to last year could be reality this time around. Backfield: Coming into 2015, there was plenty of hype surrounding then-true sophomore Deshaun Watson, and for good reason. Watson had won over the quarterback job from veteran Cole Stoudt and had been dominant despite his youth. However, there were plenty of questions surrounding the young signal-caller as well. He had limped through injuries all of 2014 and even suffered a torn ACL later in the year. Could he stay healthy this season? Could he take the next step as a quarterback? He certainly answered those questions, and more. Watson would end up throwing for 4,104 yards and 35 touchdowns while rushing for 1,105 more yards and 12 more scores. 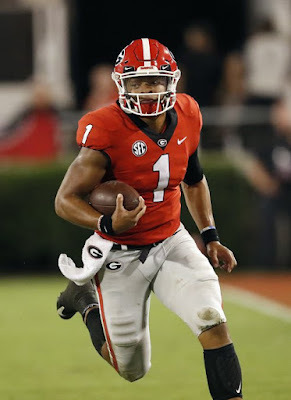 He finished off third in Heisman voting, and also asserted himself as likely the top signal-caller entering the 2017 NFL Draft. This season, he will hope to stay healthy and also continue to grow as a quarterback. Watson was wonderful overall, but there are still certainly parts of his game that need improvement. The junior tossed 13 interceptions last year, which is understandable when considering he threw the ball nearly 500 times. Even so, that number needs to continue to drop. He also needs to continue to improve his accuracy and prove himself in even more big games. If he does all that, he could very well be the top overall pick in the NFL Draft next spring. 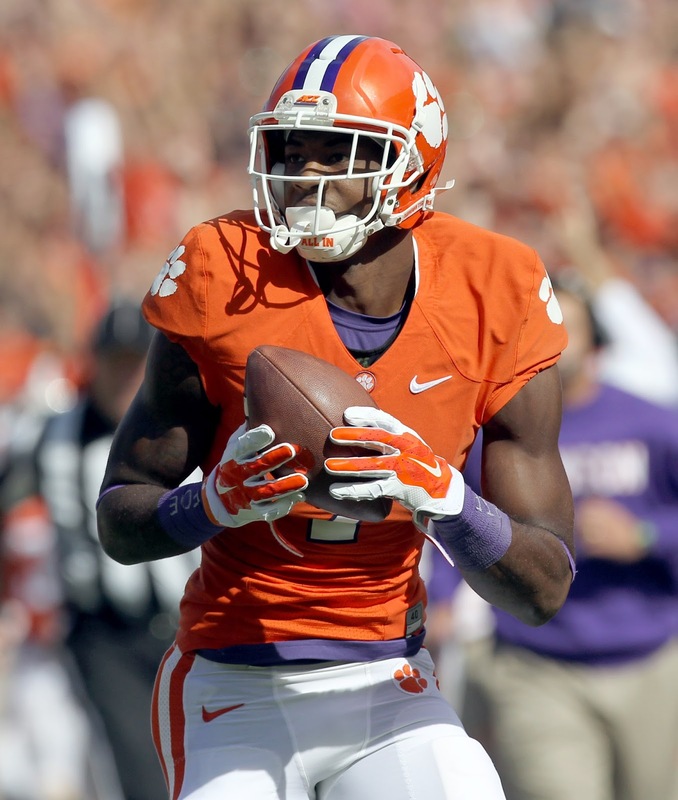 Watson's big year led many to forget about his backfield mate, fellow junior Wayne Gallman. Gallman quietly put on a show, rushing for 1,527 yards and 13 touchdowns, while averaging over five yards a carry. That was enough to set Clemson's single-season rushing record, very impressive when considering some of the great rushers that have played for the Tigers over the years. Defenses will likely pay more attention to Gallman this year, but they should still be focused primarily on Watson, which could allow the back to continue to pick up plenty of yardage. Gallman is joined in the Tigers' backfield by a pair of sophomores, Adam Choice and C.J. Fuller. Fuller could replace the departed Zac Brooks (234 yards, three touchdowns) as Gallman's primary backup, while Choice is explosive in the open field and appears ready to go after missing all of last year with a torn ACL. Clemson is also hoping to get some contributions from newcomer Tavian Feaster. Feaster is one of the top recruits in the Tigers' 2016 class, and has the talent to be the future at the running back position. Even behind Gallman, Choice and Fuller, expect the Tigers to see what the explosive prospect can do. among the nation's best as well. The Tigers return four of their top five receivers from last season, and get one of their most dynamic back from injury. Junior Artavis Scott emerged as Watson's favorite target last year. The speedy playmaker recorded 93 receptions, 901 yards and six touchdowns and was reliable as they come. With more talent around him, Scott may not get quite the usage he got in 2015, but is elusiveness and quickness will still make a major impact on each game. Sophomore Hunter Renfrow emerged late last year as a receiving threat. Renfrow will benefit mightily from the talent around him, which will take focus off of what he can do. Renfrow compiled 33 catches for 492 yards and five scores, while proving he could pick up yardage in chunks, averaging nearly 15 yards per catch. Sophomore Deon Cain is another returnee who was very good last year, and also proved to be a very dangerous deep threat. Cain managed 582 yards off 34 catches (average of 17.1 yards per reception) and gave teams headaches gameplanning against him. Cain's field-stretching ability will open up the ground attack for Gallman and Scott's routes over the middle of the field, where he does plenty of damage. Those three give Watson one heck of a supporting cast to work with, but it is a player that missed all of 2015 that may be his top threat. Junior Mike Williams has proven himself as an explosive and versatile receiving threat with NFL size, at 6'4", 220 pounds. He entered last season as the Tigers' top receiver, but barely got a chance to show what he can do with an improved Watson, injuring his knee in the season opener. Williams is a proven commodity (1,030 receiving yards in 2014), so we know what he can do. With Scott, Cain and Renfrow all stretching the field, Williams will get less attention on him, and should have a big comeback. He will also join senior tight end Jordan Leggett as one of Clemson's top targets in the red zone. Leggett was the best tight end in the conference last year, and should be among the best in the nation in '16. He recorded 40 catches for 525 yards and eight scores. He doesn't game-changing speed or athleticism, but has incredibly good hands for his size (6'5", 255 pounds) and is a refined route runner. Sophomores Milan Richard and Cannon Smith will provide Clemson with some quality backups at tight ends who offer loads of potential. Offensive Line: The speed and explosiveness of Clemson's offense often masked the problem of a mediocre O-Line. The unit wasn't terrible by any means, but it doesn't quite push you off the ball like some of the offensive lines found at Alabama or Stanford. Senior Jay Guillermo is a solid returnee and should help guide the group. Guillermo was a Second-Team All-ACC interior linemen, and should return at center. Having great chemistry in a shotgun offense is important for centers and quarterbacks, and Guillermo and Watson make an excellent pair. Junior Tyrone Crowder is also back to strengthen the interior of the line. Crowder is a great athlete that gets down the field and opens up big gaps for Gallman. The last returning starter to the group is sophomore Mitch Hyatt, the youngest of the trio, but a player with loads of potential. Hyatt was Freshman All-American last year, and proved to be a force at left tackle. His play was definitely unexpected, as that position appeared to be a major weakness as Clemson entered 2015. Those three give the Tigers plenty of bite, but the unit is rather average after that. Right tackle is certainly a question mark, as sophomore Jake Fruhmorgen and true freshman Sean Pollard vie for a starting role. Fruhmorgen has slightly more experience but Pollard was terrific in the spring, and has a higher ceiling. Left guard could be a concern going forward, as sophomore Taylor Hearn is a relatively unproven. The Tigers don't have a lot of experience beyond him. Overall, the depth is the unit is pretty worrisome. The Tigers do have plenty of returning talent returning at the position for it to be a strength early on, but as wear and tear sets in, it will be interesting to see how the group performs. Defensive Line: The huge question for Clemson's defense entering 2015: who would replace Vic Beasley? Beasley had been a dominant edge rusher for the Tigers, and his replacements were inexperienced. Turns out, Clemson did just fine without Beasley, as a new wave of stars rose to the occasion. Defensive end Shaq Lawson, who had been struggling with injuries, was superb, record 12.5 sacks and 13 tackles for loss. The end opposite of him, Kevin Dodd, proved to also be extremely disruptive and played terrific in Clemson's near title run. Dodd joins Lawson as a high NFL Draft pick, and his 12 sacks will have to be replaced. That leaves the group with concerns, but it could still end up being Clemson's top defensive group in 2016 if the young studs step up. Sophomore Austin Bryant has plenty of potential at defensive end. Bryant had 23 tackles and 1.5 sacks last year, and will miss the opener against Auburn. However, he could still have a huge breakout, similar to Lawson's this past season. Clemson will also hope for a breakout from sophomore Christian Wilkins. Despite being a reserve all last year, Wilkins made his presence felt with his agility and versatility. He had 33 tackles and 4.5 sacks a year ago, and should be much more of a factor. No matter what Clemson gets from those two, they'll lean on the veteran presence of senior Carlos Watkins heavily. Watkins had 34 tackles and 3.5 sacks in '15, and was extremely powerful in the heart of the unit. Despite his size, Watkins can still get to the quarterback, which will challenge slower interior linemen. His starter next to him at defensive tackle is a concern, however. Junior Scott Pagano has plenty of experience and knows how to produce at a high level. However, many Tigers fans are eager to see what newcomer Dexter Lawrence can do. Lawrence is an elite defensive tackle, who is widely considered as Clemson's gem of their 2016 class. Lawrence measures in at 6'5", 340 pounds and closes gaps quickly with his bulk. He already has supreme talent despite being extremely young, he could definitely steal some snaps from veterans in defensive coordinator Brent Venables' aggressive scheme. Clemson is not extremely deep on their defensive line, but does add some impressive young talent. Newcomers Xavier Kelly and Nyles Pinckney should fight for action in their first season. Kelly provides pass rushing ability at end, while Pinckney gives Clemson a physical presence in the middle. Linebackers: Clemson's rush defense fared very well last season (important in a conference that loves to run the ball), thanks mainly to the contributions of veterans Ben Boulware and B.J. Goodson. Goodson and Boulware rarely left the field, and proved to contribute in a variety of ways. Goodson had 108 tackles and 5.5 sacks, while Boulware added 82 tackles, 3.5 sacks and seven pass deflections. The Tigers will have to move on without Goodson, after he was selected in the fourth round of the 2016 NFL Draft. That will leave them scrambling for answers at middle linebacker, but Boulware does return at WLB. Boulware isn't the type of athlete that Goodson has, but is a tough, gritty linebacker that should be a great leader for the defense. Sophomore Kendall Joseph appears to be the favorite to take over at the ever-important middle linebacker spot. Joseph appeared in seven games last season and had just six tackles, but he looked greatly improved in the spring. True freshmen Shaq Smith and Tre Lamar are considered the other possibilities for the starting gig. Lamar is a physical, game-changing prospect at linebacker, who is widely rated as a five-star recruit. Meanwhile, Smith is a reckless pass rusher out of IMG Academy in Florida, which has produced some impressive talents over the years. While both are young, they have the potential and talent to impress right away with the Tigers. At nickelback, Clemson should have very good stability, as junior Dorian O'Daniel appears to be ready to lock down the role full-time. O'Daniel split time with the versatile but oft-injured Travis Blanks last year, but Blanks graduated. O'Daniel had 36 tackles last year, with 5.5 of them going for loss. He doesn't have the versatility that Blanks has, but has a great nose for the ball. Last year's projected starter at nickelback was Korrin Wiggins, but he was lost for the season in August before really getting an opportunity to show what he can do. He could very well push for action at either NB or a defensive back spot. Secondary: This past season, Clemson had one of the nation's most talented secondaries, and it showed when NFL Draft season rolled around. Cornerback Mackensie Alexander, safety Jayron Kearse and safety T.J. Green all left a year early for the pros, leaving the Tigers with some questions entering 2016. 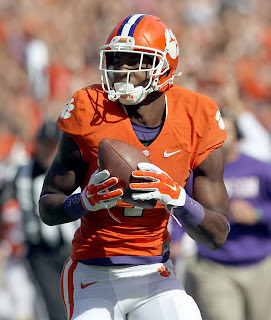 Alexander was absolutely shutdown throughout his time with the Tigers, and Kearse and Green were talented playmakers. While those losses may leave Clemson with some growing pains, this is still a strong unit. Senior corner Cordea Tankersley played very well in '15, and many consider him even better than Alexander, a second-round pick for Minnesota. Tankersley had 48 tackles last season, but made a living getting his hands on the ball, as he made nine pass breakups and five interceptions. Opposing teams will likely throw his way less this season (they were forced to often in 2015 with Alexander on the other side), but he should still have very positive production. The other corner spot is a question, with sophomores Mark Fields and Cameron Scott appearing to be the frontrunners. Fields is a rock-solid defender who would be a very good fit with Tankersley. Clemson doesn't have much experience returning at safety, but they have loads of potential at the position. Senior Jadar Johnson has had just two starts in his time with the Tigers, but has proven he can make plays when he gets on the field. He has a big frame and is a hard hitter over the middle of the field that will provide serious ferocity to this unit. Junior Ryan Carter and redshirt freshman Denzel Johnson will be his backups. At free safety, Clemson will likely turn to sophomore Van Smith, a versatile defender. Smith had 19 tackles as a reserve last season, a number that should go up in a big way this season. Not only can he be an important asset at safety, Smith could also help out the Tigers at cornerback. Newcomers Isaiah Simmons and Trayvon Mullen will bring depth to a group that needs more of it. Mullen in particular has a bright future as a four-star corner who could follow Alexander and Tankersley in a line of great corners. Special Teams: Special teams should be a definite strength for Clemson as they enter '16, thanks to the return of nearly every key contributor returning. Sophomore kicker Greg Huegel was Second-Team All-ACC last year after knocking down 27 of 32 field goals, while senior punter Andy Teasdall returns as well. Artavis Scott handled nearly all return duties last season for the Tigers, and returns to do much the same this season. Clemson proved they were a top-flight program last season, coming within minutes of college football's first 15-0 season. They should once again be incredibly dangerous with their explosiveness and versatility offensively, and Brent Venables should keep the defense humming. The Tigers also have the schedule to run the table. An opener against Auburn is sneaky but they are still figuring out their QB situation and just dismissed their leading rusher, and Clemson gets their toughest regular season opponent of the season, Florida State, a week after their bye. The Tigers also have the motivation after being doubted all last season and coming so close to their Championship goal. Top to bottom, they are the nation's most complete team. 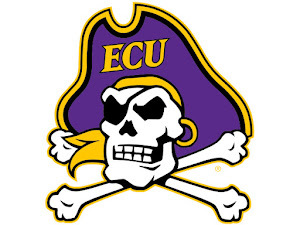 They are my pick to win the National Championship this time around.